After having lived in Paris for over 5 years now I often find myself guilty of having my I’m so Parisian hat on. This ‘hat’ leads me to think, mistakenly, that I’ve seen all the areas of Paris that are worth visiting. Because surely in five years I’ve seen all there is to see, right? Wrong. 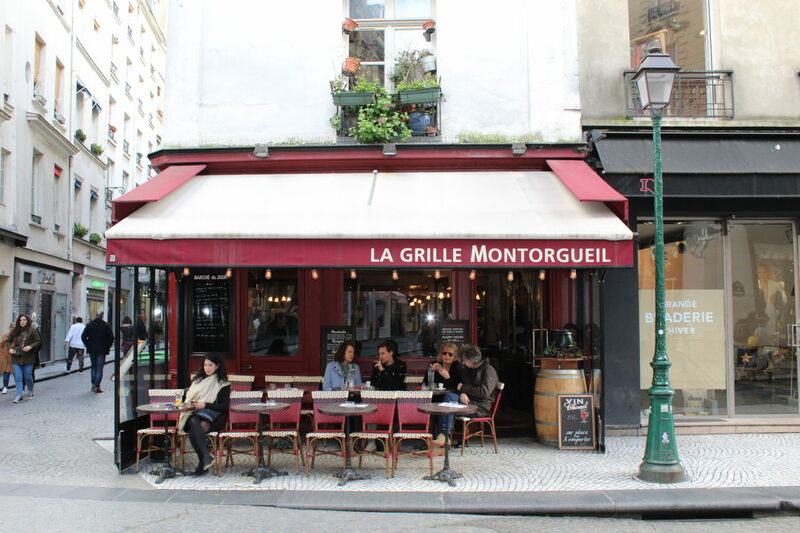 There are some areas that I still need to explore; areas that have increased in popularity over the last five years, areas such as the 10th arrondissement and Canal Saint Martin. Canal Saint Martin has become the place to be for hipsters and bobos and is becoming more and more hip by the minute. I recently visited the up and coming area with my wonderful vlogger friend Lucien. After recently moving into the neighbourhood and discovering Sesame, he had wanted to go back for breakfast at Sesame for a while as he’d heard raving reviews. We needed to catch up and I love going to new places so it was the perfect place! Click here to check out Lucien’s fabulous YouTube channel. With large windows and a single entrance the restaurant is light and airy. The restaurant is cute and colourful and follows a simple colour scheme: primary red, sky blue and white. It’s simple but stylish colour scheme gives the interior a kind of vintage diner feel. On your left there’s a counter where the smoothie machine is whirring away, making delicious and fresh fruit drinks. On your right there is a seating area; a red bench with wooden chairs opposite, a small but comfy spot. Making it perfect for someone with a small appetite or someone in a rush to get to work! We even got the choice between two smoothies (1 veggie based and 1 fruit based) and two types of homemade jam (raspberry and pear), both of which were delicious. They also cater to all tastes with their hot drinks! I was feeling pretty sick that day as I had a terrible cold so I w as delighted to find out that they serve a ginger, lemon and honey concoction which goes down a treat! And as well as the standard coffees, teas and hot chocolate they also serve a tchai latte soja which again is something I struggle to find in Paris. FINALLY a place that serves soy milk. Hurrah! Someone finally thought about lactose intolerant people! Last but not least, the music, something I rarely comment on when I blog about restaurants, is amazing! Whilst having brekkie I heard a number of Motown classics that most of the customers were humming or singing along to whilst digging into their jam jars. The great music simply added to the relaxed and friendly atmosphere of the place, making the experience all the more enjoyable. To sum up, I would highly recommend Sesame for anyone looking for a breakfast that doesn’t break the bank! You won’t be disappointed!